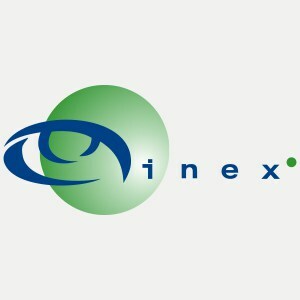 INEX is a neutral, industry-owned Association, founded in 1996, that provides IP peering facilities for its members. INEX membership is open to all organisations that can benefit from peering their IP traffic and there are currently 82 members. Their objective is to provide high-speed, reliable and resilient IP traffic exchange facilities for both Irish and international organisations, allowing them to route IP traffic efficiently thereby providing faster, more reliable and lower-latency Internet access for their customers. The INEX switching centers are located in four secure data centres in Dublin; Equinix CityWest DB1 and Kilcarbery Park DB2, Dublin 22 & Dublin 24 and Interxion DUB1 and Interxion DUB2 in Park West. The switches are connected by dedicated resilient fibre links. Primary Exchange LANs. The INEX primary peering exchange LANs are INEX's primary services. They consist of security protected shared ethernet VLANs operated across multiple switches in multiple different data centres located in the Dublin metropolitan area. VoIP Peering LAN. Currently in testing phase, INEX is hosting a trial VoIP exchange LAN to enable VoIP operators to exchange IP traffic over a network which is protected from the rest of the Internet. Closed User Groups. For members who require other shared service ethernet VLANs, INEX can create closed user groups, protected from the rest of the Internet and providing a secure basis for exchanging IP traffic. INEX works with various organisations in Ireland and internationally to assist with the development of the exchange and the Internet at a national and international level. www.euro-ix.net INEX is a member of Euro-IX, the European Internet Exchange Association, which was founded in 2001 to further develop, strengthen and improve the Internet Exchange Community. Euro-IX has 36 member IXPs from 23 countries around the world. Their website provides a wealth of information on the various Internet exchanges the represent. www.ripe.net RIPE (Réseaux IP Européens) is a collaborative forum open to all parties interested in wide area IP networks in Europe and beyond. The objective of RIPE is to ensure the administrative and technical coordination necessary to enable the operation of a pan-European IP network. The RIPE NCC is one of five Regional Internet Registries (RIRs) providing Internet resource allocations, registration services and co-ordination activities that support the operation of the Internet globally. Their website contains valuable information on how to obtain IP address space, AS numbers and other information relevant to Internet addressing.